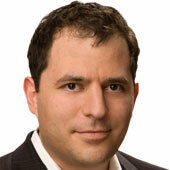 There are lots of people who want to stream Web video to your house. But odds are that if you’re watching a Web video during prime-time hours, it’s coming from one of two places: Netflix or YouTube. So said Sandvine, the broadband service company. 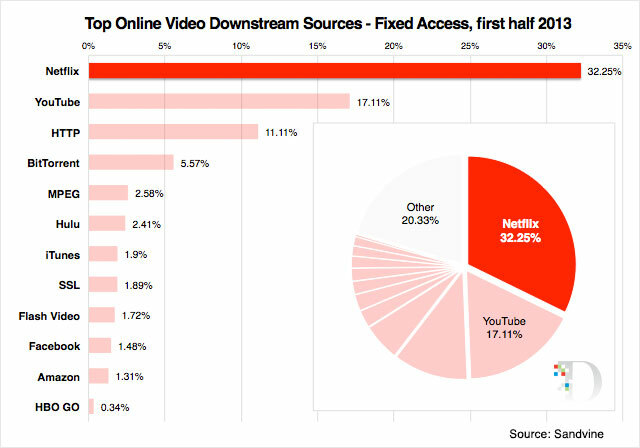 Sandvine said that Netflix and Google’s video site now account for more than half of America’s “downstream” traffic delivered over “fixed networks” — the kind you get at home or at work — during peak hours. That comes from Sandvine’s latest traffic report, and it shows the same trend we’ve been seeing for a while: Netflix accounts for about a third of peak Web traffic in the U.S., and YouTube is coming up on 20 percent. 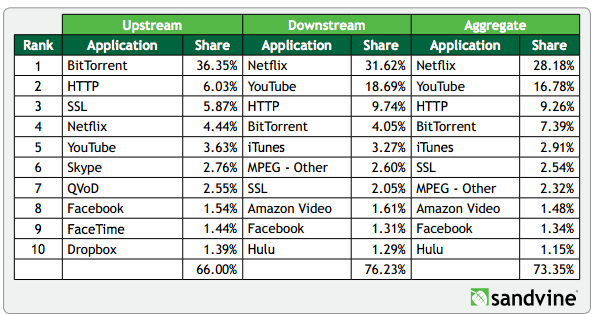 Sandvine’s report also said that Hulu and Amazon, despite big efforts to catch up to Netflix in video delivery, are coming up short. At least if you’re counting bits. 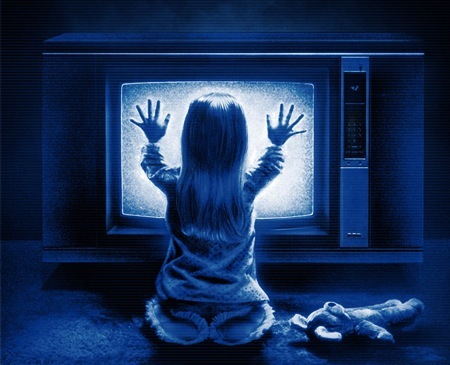 It is possible that Hulu, or Amazon, or any of the providers that lag far behind Netflix, are much more efficient at delivering Web video signals, and that somehow Sandvine’s numbers drastically underrepresent their real usage numbers. Could be! On the other hand, these numbers have been pretty consistent for awhile. 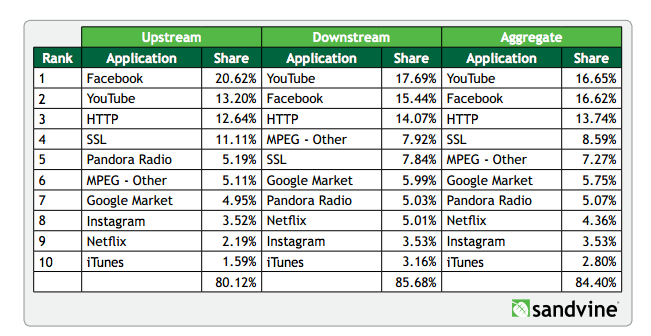 If you’re looking for an interesting wrinkle in Sandvine’s numbers, check out their report on traffic delivered over mobile networks — which doesn’t include traffic to your Android, iPhone, whatever, when you’re on Wi-Fi — and what it said about YouTube traffic and Facebook traffic. It’s sort of interesting to see Facebook shoot up so much in the last few months — perhaps the company’s newest updates are data-hungry? 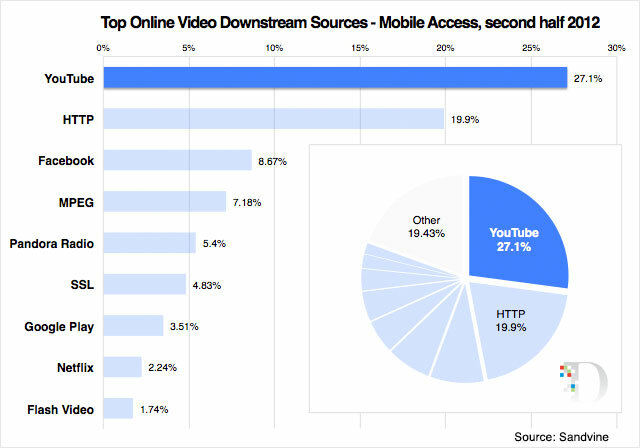 Similarly, it’s surprising to see YouTube’s share shrink, given its own mobile boom.